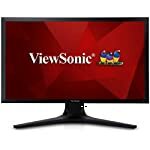 There is a lot of interest in 27″ IPS monitors at the moment and if this is your preferred size then there are more and more monitors to choose from out there. The IPS panel technology has gained a strong reputation for outstanding image quality and modern screens even handle gaming well too. In this post we are looking at the BenQ EW2770QZ, the unique selling point on this model is the bespoke Brightness Intelligence Plus technology built in to give your eyes unparalleled comfort, well, according to the marketing material at least. In theory this adjusts the brightness levels for content via an ambient light sensor built into the monitor. It also boasts Low Blue Light and Flicker-free tech. I think this is a really neat looking monitor. It is simple in design but that works in it’s favour. Very slim yet straight forward lines, no fussiness or “gamer” stripes going on. 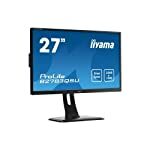 This is a monitor that will suit a professional setting or home office. The bezels are not only thin, but also the lower bezel retains the same slim design save for a small rectangle box that houses the light sensor. The stand is not adjustable which is a shame, especially as this is a premium priced monitor. That said, it does include VESA 100 x 100 fixings so you can attach it to a monitor stand. A nice touch is the zero watt power switch which turns off the monitor completely, it’s fair to say that many modern screens just have a standby button. Hook this up to your PC via the DisplayPort or HDMI sockets. If you are hoping for older VGA compatibility you’re out of luck, the old connectors just don’t have the bandwidth for higher res monitors. Time to upgrade. Whilst this is not sold as a gaming monitor you shouldn’t have a problem enjoying casual games when you aren’t working. BenQ have included there Advanced Motion Acceleration tech to reduce blurring and the quoted 5ms response time is well within the tolerance for enjoyable game play. Do remember that you’ll need a powerful modern graphics card to game at 1440p. So whilst this model is limited to 60hz, unless you have a beast of a PC rig, it’s unlikely you’ll be able to sustain higher frame rates anyway. We give the BenQ EW2770QZ a 4 out of 5 rating. Want to know what existing owners of the monitor think? You can read real user reviews here. 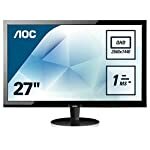 Should I buy the BenQ EW2770QZ? 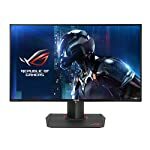 A high quality monitor with good all round performance, it's not cheap but if you have suffered with your eyes after staring at a screen for hours on end then maybe this could be the solution? If you are having some doubts about this purchase then why not read some real owner reviews and see what other buyers think. Welcome to the BenQ EW2770QZ FAQ. This section attempts to answer common questions you may have, please get in touch if you have any more queries or if you think our answers need updating. 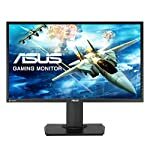 Is this monitor good for gaming with an Xbox One or PS4? It will work with both. You can’t run at QHD however but looking at feedback from owners, it will still look great.